The KENPO (also known as KEMPO) is a fighting art developed initially on a small island in the Pacific Ocean Okinawa. 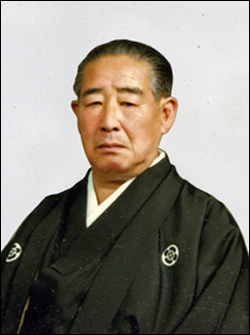 The Nippon Kempo begins its history in the twenties, when Kuroyama Takamaro (Fukuoka 1895-1977) master of judo at the police headquarters in the province of Osaka, called Sawayama Masaru Muneomi (Osaka 1906-1977), a pupil of the circle of Judo ‘universities in the Kansai area, and asked him to investigate methods of workouts safe. After a long and laborious research, at the dojo called Kokakai originated the Nippon Kempo. Today, the Nippon Kempo is presented as a discipline to combat modern, comprehensive and highly effective techniques of percussion where alternating projection techniques, dislocation and immobilization. In the fighting athletes are wearing a mask, a shell, a shell and gloves in order to fully protect the body. In the schools, the police and the army the Japanese Nippon Kempo enjoys enormous prestige, it is practiced under the name of HO TAI JUTSU. In Italy, the FE.NKI Federation (Nippon Kempo Italy) in collaboration with Japan, continues the research started by the Master Sawayama and cares to develop the martial art of Nippon Kempo throughout the country in accordance with and subject to the principles of this modern oriental discipline.